Medical Payments or Personal Injury Protection (PIP): PIP can cover medical payments, lost wages and the cost of replacing services normally performed by someone injured in an auto accident, regardless of fault. : For damage the policyholder caused to someone else’s property. Comprehensive: For damage to the policyholder’s car that doesn’t involve a collision with another car. : Covers you as a result of an at fault accident with an uninsured driver. Underinsured motorist coverage can also be included in the auto policy. 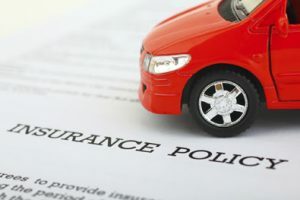 Underinsured motorist coverage comes into play when an at-fault driver has auto liability insurance, but the limit of insurance is inadequate to pay for your damages. Find out what coverage is right for you by calling the friendly professionals at Huntingdon Insurance Company and see how much money you can save right now on automobile insurance. Call (215) 942-0616 for a FREE No Obligation Quote or contact us via email at quotes@huntingdonins.com or use the convenient web form below for a FREE quote or to answer any questions you may have.